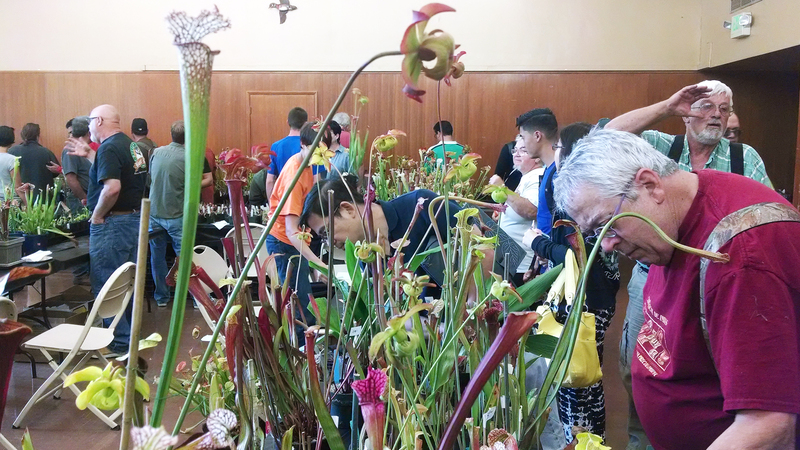 BACPS 2014 Annual Show and Sale Part Two: Everything Else |Sundews Etc. 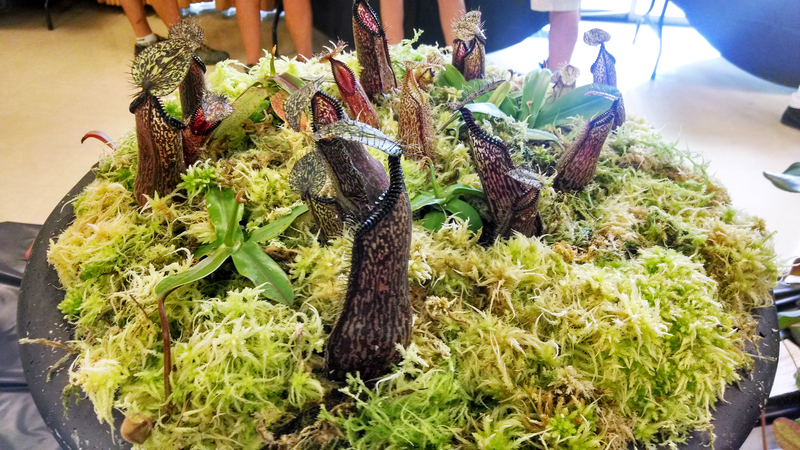 In this post I'll share a few more photos from the recent Bay Area Carnivorous Plant Society Show and Sale. 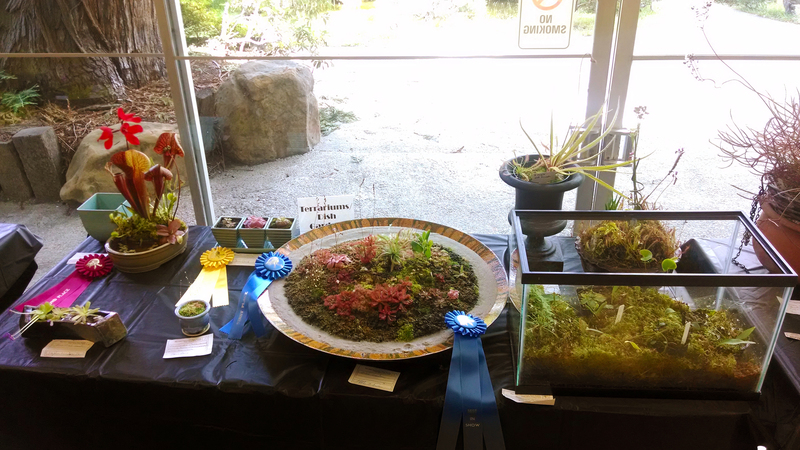 In part one I posted about the winners of the juried show. 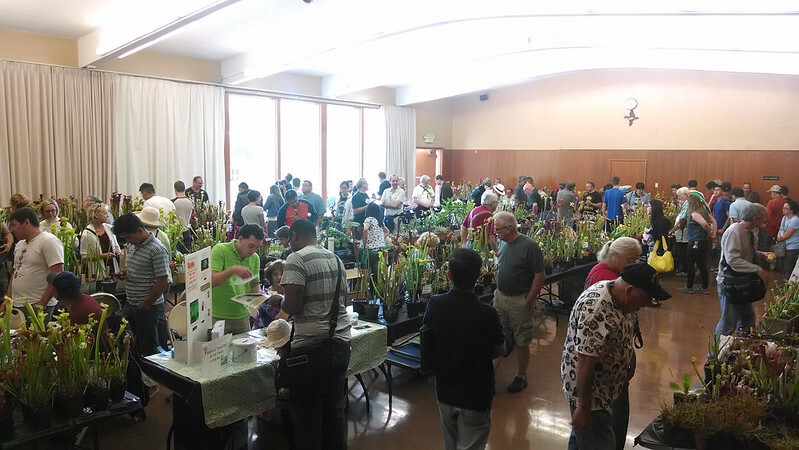 The event was held at the Lake Merritt Garden Center (I didn't get pictures of the surroundings, so have a GIS). It was a really nice day out, but inside the garden center it was pretty warm and humid, being full of people and plants breathing all over each other. There was a really good turnout! 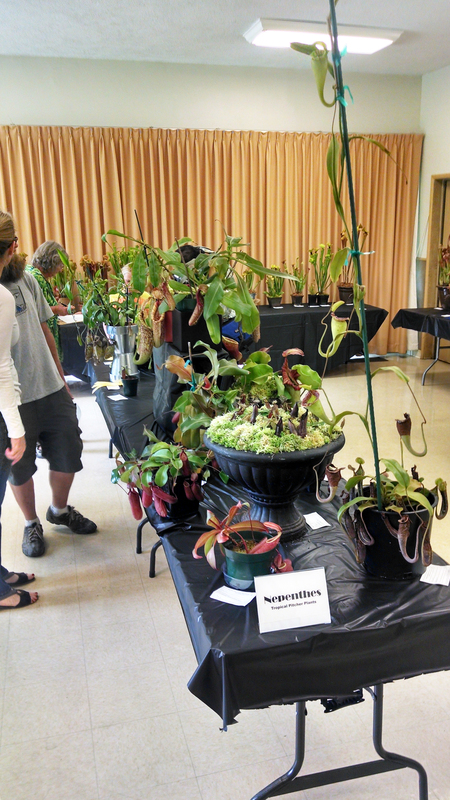 Lots of people buying plants! Sometimes it was too crowded to move around, which is great! Most of the plants on offer were Nepenthes and Sarracenia – there was a decent, though not enormous, selection of sundews, and just a few pings. I think I saw a handful of Utricularia as well. 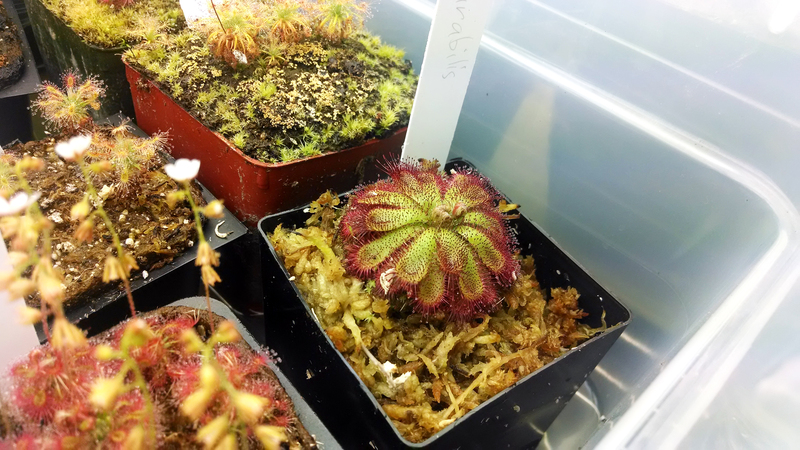 I just ended up getting 3 plants, which I'll share at the end of this post. These were reasonably-priced plants, but some of the rarer offerings were hilariously pricey. I also had a few more photos from the Show. Here's the Dish Garden table. 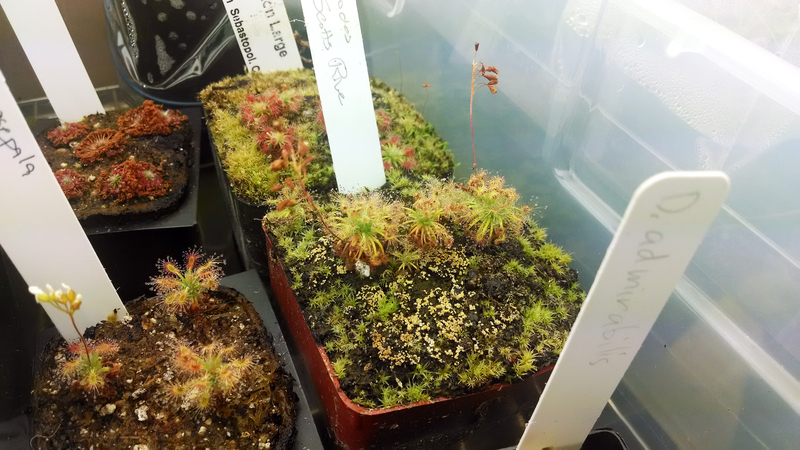 My pictures of the ping and sundew tables were ruined by the light from the window. Oh well. I wish I had recorded the identity of that big vining plant. Hamatas! I think these were grown by Drew Martinez. 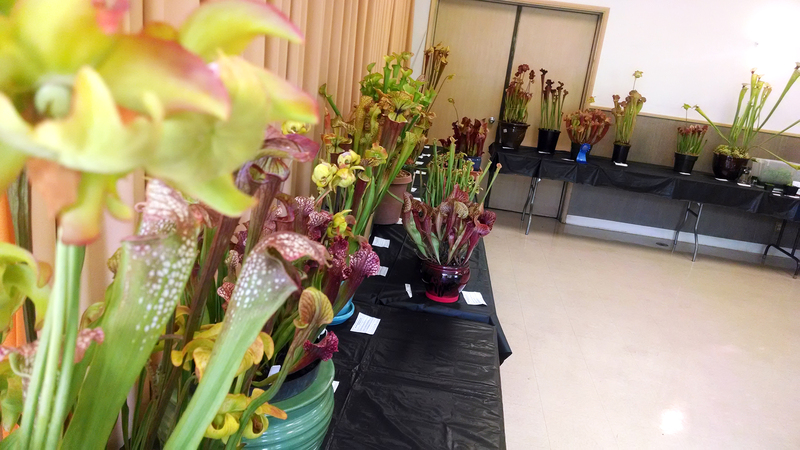 There were also loads of Sarracenia in the show. They took up a whole wall and then some! 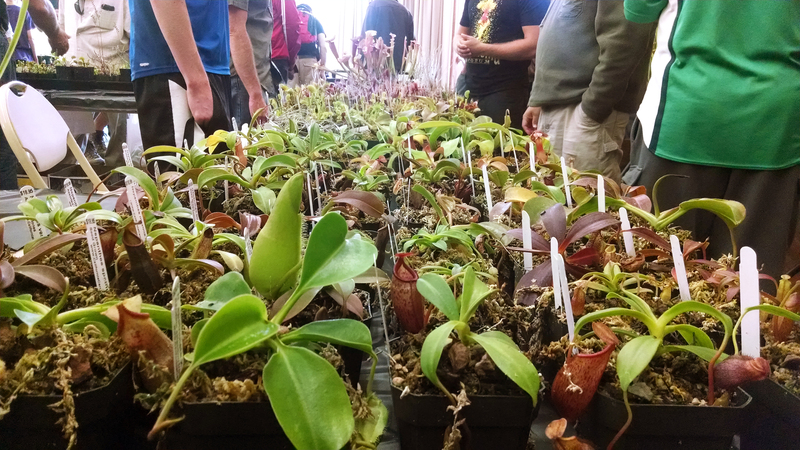 I can't imagine having to judge all these Sarracenia. As I said, I only got three plants at the show – two pygmies, Drosera callistos and Drosera enodes Scotts River, and Drosera admirabilis. These D. callistos will have big orange flowers. Cute! 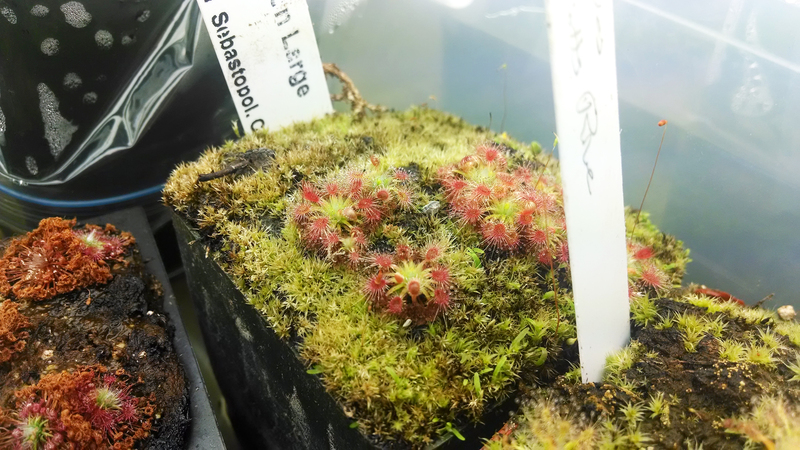 I like stem-forming pygmies, like these D. enodes. Finally a positively-identified D. admirabilis. Charming plant! So much fun! I can't wait for next year.